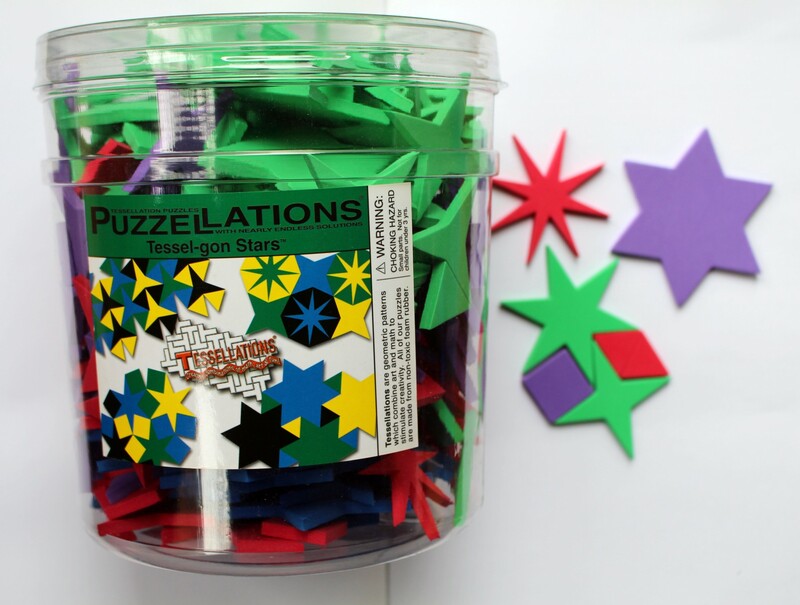 Tessel-gon Stars forms a variety of beautiful and fascinating tessellations - to make on a table top from the foam pieces. Contains star polygons with three, four, six, eight, and twelve points, as well as equilateral triangles and squares. Can be used along with Tessel-gons. Ages 5 to adult. 340 nonmagnetic pieces.